Coming Holiday 2013. No form factor. no specs. No feature set. No price. Wow. Literally, Sony didn't even show a prototype PS4. As far as I can tell, they showed no game footage running on a PS4. The entire presentation came off as half-baked. There are plenty of places you can go if you want details of what Sony actually did announce (the link to Chris's article provides plenty of information), but there's one big question here, and I think it's the question that won't get talked about. Why did Sony do this? Why would Sony go with this obviously rushed, incomplete reveal? The announcement of the presentation came out of nowhere, seemingly off-calendar. 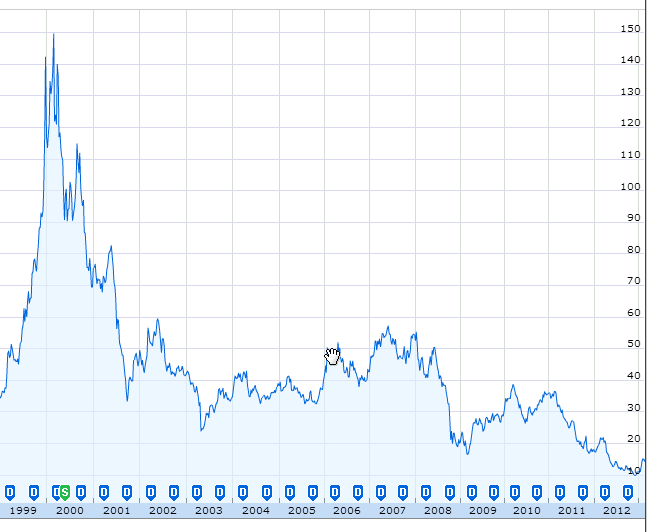 Take a look at the stock price since the all-time high of 149.71 in March 2000. Yeah, that's 149 to 10, basically, over the last 13 years. 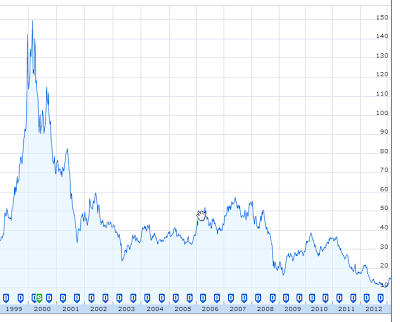 That's a loss of 93% of the stock price, incredibly. The stock price has gone from 10 to 15 in the last five weeks, though, and I strongly suspect that's on word starting to spread that the PS4 was going to be announced. In the last few weeks, Sony announced plans to sell off one of their showcase buildings in Tokyo, then lease the space back from the new owners. That's what you do when you badly, badly need cash. I think this incomplete, rushed reveal is related to both Sony's current financial status. Every hardware division they have seems to be down year over year, and this announcement might generate some enthusiasm, at least. If you don't have numbers, enthusiasm will have to do. It's possible that we're not going to know the real reason that this presentation was announced and executed in such short order, but that's the real story here, and hopefully someone at a higher pay grade will get the real story leaked to them. One other note: I've only heard one alleged price point, which came from Kotaku, but it seems reasonable: $429 (and a higher-end model at $529). Let me say this: if this pricing information is correct, and the PS4 launches at $429, it's going to land like a wet diaper. That price is madness.